Wars often spring out of nowhere with little warning. One need only look at the recent troubles at the Lebanon-Israeli border for evidence of this claim. At other points in history, such as the run-up to the Second World War, wars seem all but foretold. How does one understand a phenomenon that, at times, seems so random, while at others so predictable? Is there an underlying "cause" of war and, if so, what is it? 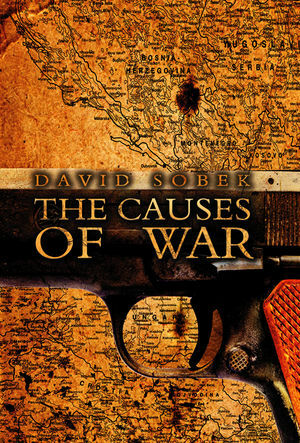 In this book, David Sobek argues that there is no single explanation for war: factors leading to war in one case may well lead to peace in another. Understanding the onset of war, he contends, requires a movement away from single theories towards one that embraces the multi-faceted causes of war. The characteristics of individual states, the strategic interaction of multiple states, and the broad structure of the international system all affect the risk of war. Throughout the book Sobek draws on a wide range of examples – from the rise of Japan in the 19th century to the emergence of Hamas in the 21st century – to show how both domestic and international politics push states to, or pull them from, the brink of armed conflict. While civil war and terrorism are often viewed as a from of violence distinct from interstate war, Sobek examines them as simply an extreme form of asymmetric warfare. From this perspective terrorism emerges as just another tactic used by actors engaged in armed conflict. The Causes of War will be essential reading for students of security and strategic studies as well as anyone seeking to understand the rise of violent conflict in the contemporary world. David Sobek is Assistant Professor at Louisiana State University. Section I: The Behavior of States. Chapter 1: The Power of States. Section II: The Interaction of States. Chapter 3: The Balance of Power. Chapter 4: The Democratic Peace. Chapter 5: Trade and Peace. Section III: The International System. Chapter 6: The Systemic Distribution of Power. Chapter 7: The Rise and Fall of States. Section IV: Changes and Conclusion. Chapter 8: Conflict with Non-State Actors. material and case studies. The book commends itself to the attention of researchers, advanced undergraduates and postgraduates in the field of international relations theory, security studies and peace and conflict studies." "A fine overview of the major factors influencing decisions for interstate war – power, democratic peace, and trade – across different levels of analysis. The inclusion of frequent case applications and a discussion of civil war are bonuses."